Rachel Hadas is a formal poet, which is to say she is interested in poetic forms as both tools for expression and as structures that, like individuals, are rich in history. New York City-based with a summer home in Danville, Hadas has had a dozen poems published in the New Yorker since her first of many volumes of poetry came out in 1975. She has also studied classics (among other disciplines), lived in Greece and translated classical Greek literature; she is currently working on translations of Euripides' two Iphigenia plays. 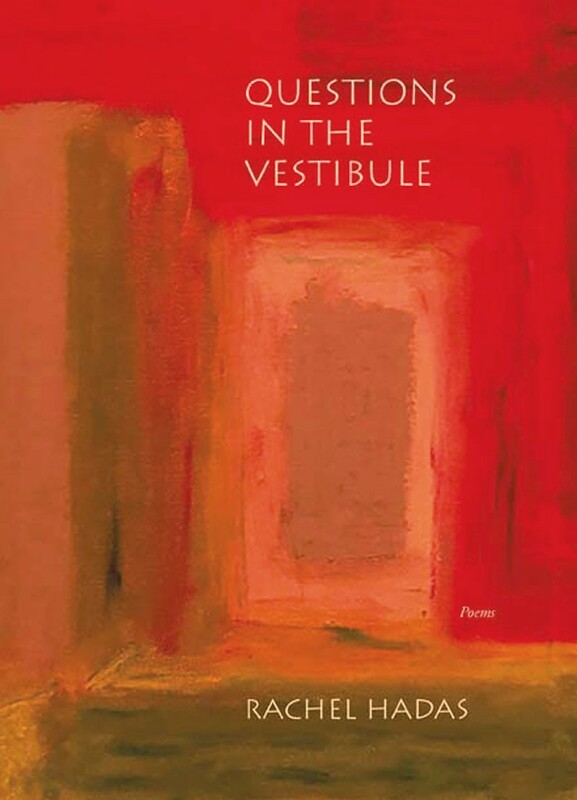 Perhaps not surprisingly, then, Hadas has chosen a formal feature of classical Greek and Roman architecture, the vestibule, as the organizing idea of her latest book of poems. Questions in the Vestibule uses that liminal space — a kind of halfway point between the outdoors and the indoors — to explore the in-betweenness of existence. As Hadas writes in her opening poem, "Threshold," "This vestibule? Unsettling. / I teeter first one way / and then the other. In / or out? I am a fool / to be so caught off balance. / All is vestibule." 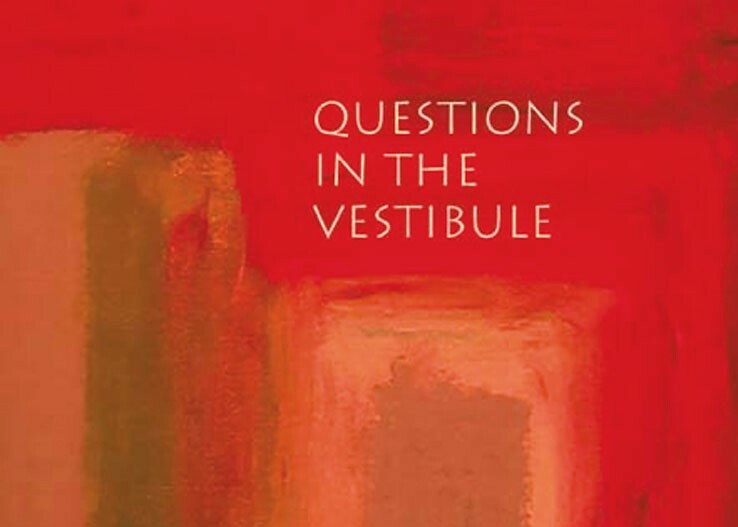 Questions in the Vestibule by Rachel Hadas, TriQuarterly Books (Northwestern University Press), 107 pages. $16.95. If readers share this reviewer's questionable habit of reading the last poem in a collection first, they will discover that not all is vestibule in this volume. The speaker of the final poem, "Poetreef," finds a kind of balance in an island house that's "brimful of past lives." But tracing a narrative arc is not Hadas' point here, as it wasn't in her previous book, the essay collection Talking to the Dead (reviewed in Seven Days in 2015). Rather, her interest lies in the rich indeterminacies of living with the awareness that past, present and future are not as distinct as one imagines. In "The Yawn," which appeared in the New Yorker in 2012, the speaker is startled into a laugh by the similarity between her dead husband's yawn and that of her visiting son. The brief free-verse poem ends in a rhymed couplet that identifies other echoes of that "sweet gape": Even an "orphaned piano" yawns. The threshold between dreaming and waking worlds is likewise indistinct in these poems. "The veil between the worlds is growing thin," reads the opening line of "The Veil and the Baby," one of two villanelles in the volume. This poem's meaning is elusive: The refrain — variations on "Who was that baby in the dream again?" — may refer to an aborted baby, given the mention of "Colin McGinn on moral literacy." (Philosopher McGinn wrote about the moral rights of fetuses in a 1993 book.) In any case, Hadas' use of the villanelle creates a kind of incantatory tone that makes it difficult to distinguish concrete thoughts from those of dreams. In other poems, light itself is indeterminate. In "Aubade" — which takes its title from the traditional form of a love poem set at dawn — "that peach flush might be either sunrise / or sunset." In "Hindsight," the sky above a snowy landscape "seemed unable to make up its mind / which end this was of the brief winter day." Sometimes the distinction between real and mythological worlds also blurs, as in "Hurry, Red Fruit, Descent," a poem in rhymed triplets (A-B-A) that comes the closest in the volume to narrative. The speaker tells of coming on an enormous crate of pomegranates on her way to the subway, which calls up Persephone's fateful consumption of the fruit's seeds — and, in short order, the subway becomes Hades. In a poem in the third and final grouping, "The Break," Hadas seems to head in a different direction, using poetic form to distinguish between dreaming and waking worlds. The poem begins with an account of the speaker falling and breaking her wrist. "The road was slick, / that much I knew," it reads, the iambic dimeter nicely emphasizing the abruptness of the experience. But a shift to three and then four metrical feet per line occurs near the end, as the speaker remembers a dream she was trying to recall just before falling, in which she was "squeezing through a gate" with "you." That dream action causes both "you" and "I" to lose a part of themselves, in another kind of "break": "We made it somehow — not quite whole, / as if we had to pay a toll / to the new country where together / we're still standing a year later, / each of us gazing at the other." If the gate represents yet another form of vestibule explored in Questions in the Vestibule, in this poem, the questions seem to have been resolved. The "you" has enabled the speaker to move beyond the vestibule to the solidity of a "new country." Indeed, in "Balancing," also a later poem, the speaker declares, "I cannot pretend to map this new terrain" — but she is, at least, keeping her balance there. Hadas' poems collectively hint at an effort to move on from a kind of emotional rooting in the past. In Talking to the Dead, she wrote about her husband's 2011 death, and her language of liminality here could be read as evoking the transition that must occur after the loss of a spouse. "Something tells me that I cannot stay / here in the paradise of in-between," the poet writes in "After Long Sleep." But readers won't regret pausing with her in the vestibule. you pull your purpose round you like a cloak. to step over the threshold. each movement slivered as it arcs through space. and if so, which way were you heading? Will simply standing still defer time's flow? seasons, a bare tree, a setting moon. At first you think that you'll be moving on. Hadas will read during "Kindred Spirits: A Multimedia Experience," Sunday, August 21, 1 to 5 p.m., at the St. Johnsbury Athenaeum. Free. The original print version of this article was headlined "On the Threshold"